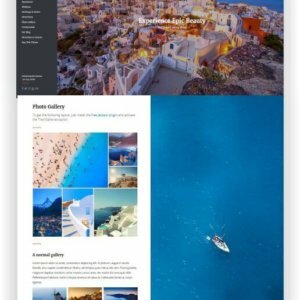 Website for Hotel with WordPress - View topic and download here! 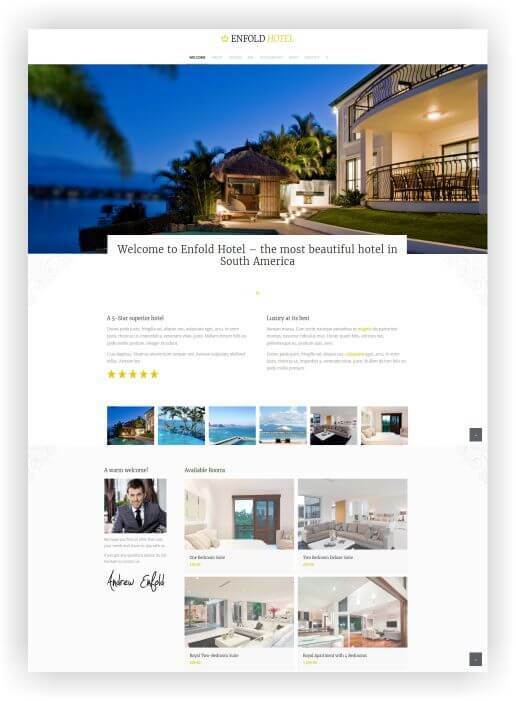 The Website for Hotel with WordPress “Enfold Hotel” is a clean, super-flexible and completely appealing WordPress theme.Best for your hotel website! With Enfold WordPress theme for hotel, you can present your hotel to your visitors and guests as it really is – perfect! 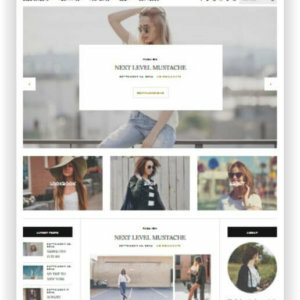 The Theme is built on top of the fabulous Avia Framework and offers support for the WPML MULTI LANGUAGE plugin in case you need it to write the page in several languages.It comes with a wealth of options so you can change layout, styling, colors and fonts directly from the backend. Create your own layout or use one of 18 pre-defined layouts directly from your WordPress Admin Panel. 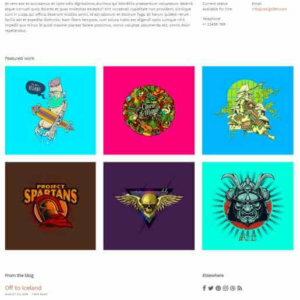 Font, background and color options, as well as the dynamic TemplateBuilder, help you create the website that you will be able to finish in no time. In addition to the global options, you can specify unique styling options for each entry, as shown in the demo. The theme is retina ready and looks perfect on all devices. For this, it is also WooCommerce ready. This means you can also easily integrate a shop! For the newsletter, the Mailchimp Newsletter Widget is already integrated. Video support, video slideshows, photo gallery and much more are possible in this topic! The Enfold theme has been sold more than 120,000 times – this guarantees the best functionality and support! 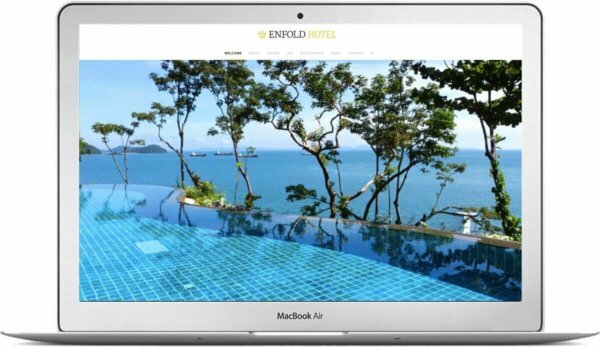 Create a Website for hotel with WordPress and Enfold! Welcome to Santorini Resort! 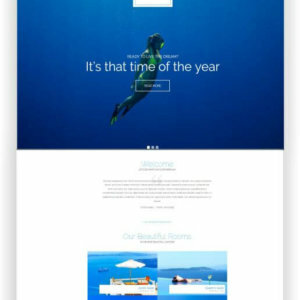 The beautiful responsive WordPress Hotel Theme Santorini specifically designed to showcase your hotel / resort in style. Enjoy your stay. Santorini Resort features a truly awe inspiring design that is guaranteed to promote your resort’s image to a new level. Welcome to Palermo! 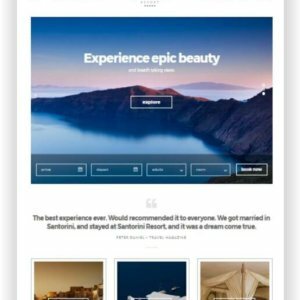 Palermo, a fantastic WordPress theme for the tourism industry, has been specifically designed to present your hotel / resort in a grand style. – Enjoy your stay. Welcome to the Sun Resort. 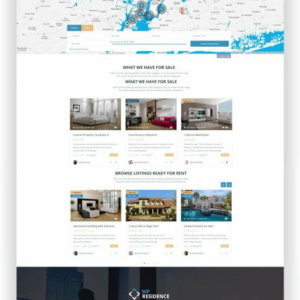 The next generation, responsive WordPress Hotel Template specifically designed to showcase your hotel or resort in style. Enjoy your stay! The perfect WordPress church theme for your church website. Amen. 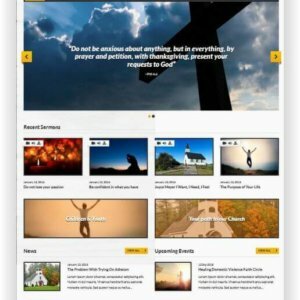 Prayer is the perfect blog theme for any religious community and church. With event announcements, photo gallery and own page for the presentation of community members, pastors and employees.